Observe the Historical Greatness of Italy by Travelling to the Ancient Archaeological Landmarks & Monuments during Rome to Saturnia Tour in Rich Mercedes Sedans. Italy will keep you stupefied for a very long time. A large number of tourists visit this country every year for exploring the magical destinations. Rome is the capital city of Italy which is also known for its world-famous archeological sites. You can examine the marvelous Roman structures which are still preserved in this city. It is advisable to access a road trip for checking out various highlights present in Rome. Benvenuto offers chauffeur-driven vehicles for Rome to Saturnia Tour that is managed in complete comfort. 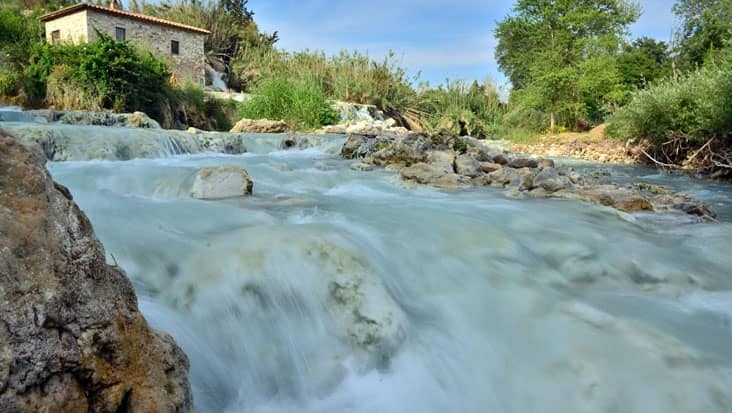 You will visit Saturnia which is a legendary area wrapped in ancient tales. This journey is filled with fun & excitement that would surely please you. The journey from Rome to Saturnia will be completed in ten hours. You must access a day tour so that maximum sites can be reached without any discomfort. The history of Saturnia is connected with the god Saturn. This is a powerful place that is still valued by the native population. 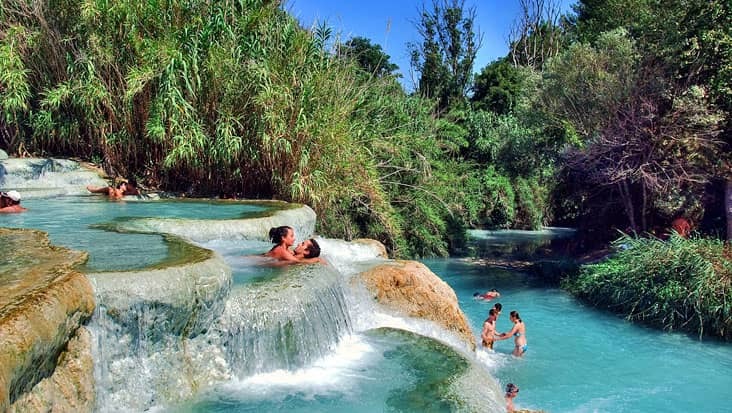 The thermal springs of Saturnia are quite famous among travelers. This hot water has therapeutic properties that would keep you relaxed. The archaeological sites in Saturnia are located in Maremma. You can hire a guide for checking out the excavations situated in Pitigliano, Sorano and Sovana. But the cost of hiring needs to be paid separately by the tourists. We manage team of efficient drivers who are totally aware of the local routes. This is a good service trait that makes Benvenuto quite famous in Italy. Our chauffeurs can converse in English language which makes them capable of comfortably interacting with foreign customers. There is an entrance fee for visiting several landmarks. This cost is excluded from the main tour expense. The journey can be accessed in spacious vehicles that are loaded with useful amenities. Mercedes & VW cars can be easily hired from our chauffeur service. These vehicles are stylish and would offer a luxurious experience for the travelers. Sedans, minivans and minibuses can be availed at attractive prices. The tour cost includes driver & vehicle charge along with fuel, toll taxes and parking. On the other hand, dining bills at various spots are not included in the total tour cost. Travelers need to pay this amount separately.